What to Include When Writing a Will in Florida | DeLoach, Hofstra & Cavonis, P.A. ?What is a fiduciary? Who should act as my fiduciary? ?Can a married couple create a joint revocable trust? ?What does a designation of Health Care Surrogate do for a Minor? A will is the foundation of your estate planning documents. Under Florida state law, if a person dies without a valid will, his or her property is distributed among the closest living relatives. Generally, all of your assets are given to your spouse or children. The distribution for an intestate Florida estate is set forth in the Florida Statutes. Depending on which members of your family are still living, beneficiaries could also include siblings, aunts and uncles, cousins, or even your deceased spouse's family members. In addition to family, your family can choose domestic partners, friends or organizations to inherit your assets. Keep in mind that if you don't make specific designations and you do not have any heirs (i.e., living family), all of your property will escheat to the State of Florida, although this is very rare. A will must meet certain requirements in order to be valid in the state of Florida. Fortunately, there are relatively few rules. You must be at least 18 years old and you must be of sound mind. “Sound mind” means that you fully understand both the nature and extent of your assets and the natural objects of your affection. Florida also requires that your will be a printed document and executed in the correct formality, and no oral or handwritten wills will be recognized or legally binding. Distribute your assets and property. Whether you leave all of your belongings to one person or give specific items to individuals, you should choose your beneficiaries carefully. You're allowed to leave money or valuables to organizations as well as individuals. Above all, you should make sure to designate at least one residual beneficairy - someone who will receive any property that is not specifically devised. Must not have been a convicted felon. Appoint a caretaker and guardian for your children. You should name a guardian to raise and protect your minor children if you and their other parent die before the children turn 18. Include the names of your children and the name of your spouse or partner, or ex-spouse or partner, as well as the name of the person you want to serve as guardian. If you're planning on having or adopting more children, you may wish to include a provision that includes them as well. Create a Trust for Beneficiaires. Your beneficiaries may not be responsible enough, may have creditor issues or may have special needs. Thus, your estate may not need to be distributed outright to a beneficiary but can instead make sure your assets last longer in the hands of a trustworthy trustee. 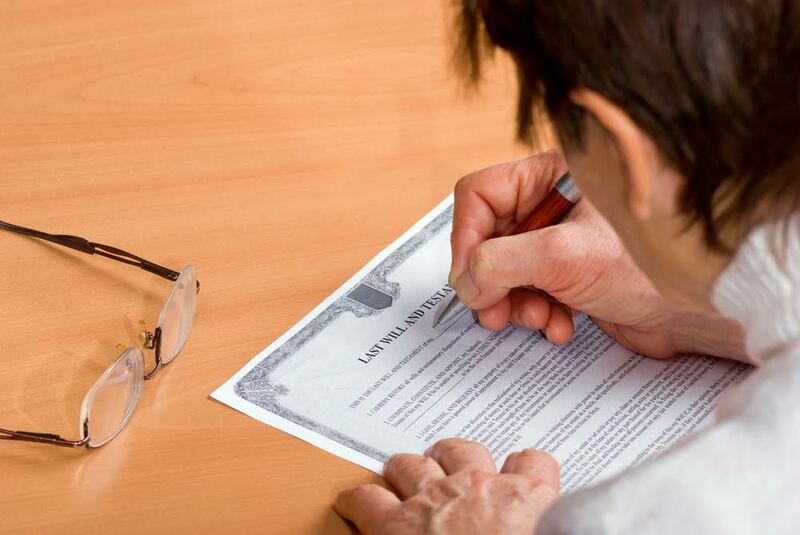 Your final step for developing a will is to follow Florida law and sign the document at the end in front of two competent witnesses. These witnesses must also sign your will in your presence and in the presence of one another. While it's a good idea to use witnesses who have no interest in the will, Florida does allow beneficiaries to act as witnesses. You can also have the will notarized, although it's not required. Once your will is legal under Florida state law, it's legal in every state. While the process of creating a will may not be difficult, it's important to speak to an attorney before finalizing the document, especially if you are unsure how much property you own. Estate planning attorneys can track down forgotten accounts, reduce taxes, and help you avoid probate on your assets. Contact us today to speak to an attorney about your estate plan. Generally speaking, you should go to an attorney to draft your last will and testament. While some aspects of wills are very simple, estate planning itself is not as intuitive. Going to an attorney will help make sure your wishes are followed upon your death, which will give you peace of mind knowing you have made the right decision. Also, creating an estate plan is not just about drafting a document - a good estate planning attorney will follow a process, discuss your wishes, your assets and the desired outcome to make sure your final wishes will be followed. Learn more about Florida Wills in our website.